With due respect to our next two opponents, Hull and Everton, these aren’t fixtures guaranteed to set the pulse racing. But Spurs are at a crossroads. 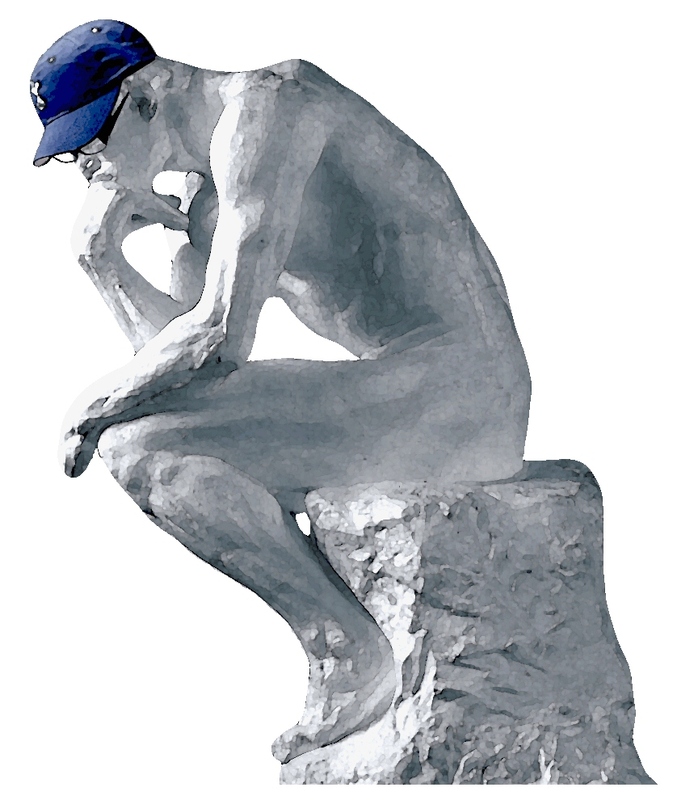 Early season optimism has been punctured by a series of lethargic, inept performances. Defeat will push us towards the foot of the table and crank up the pressure. Their true significance however lies in the discovery of whether or not Tottenham Hotspur is a club with a heart. For the first time in the life of Tottenham On My Mind I was glad of an international break because I did not want to see my Spurs play. Problems that have been simmering for some time, over a decade in some cases, have boiled over on and off the field of play. I have been appalled by our vapid, directionless performances over the past few weeks. Amateur defending, confusion in midfield, a great big nothing up front. More than that, too many players are not fully committed. They don’t want to put in the hard work that wins the right to play good football, and their manager does not appear to be able to change that. Off the field, the distance between the club and supporters has become a chasm. Ticket prices, the new stadium with its threat of a move to Milton Keynes, the lack of any transparency, the absence of a coherent strategy to ensure we can compete – I could go on. The festering sore of ENIC’s chronic mismanagement of our club has burst open and only drastic surgery will staunch the pus that threatens to infect everything about the club – the team, the board and particularly the relationship between the club and its loyal supporters. Like a celebrity in the jungle or the Labour Party in Rochester, just when you think things can’t get any worse, Spurs can find a way. Instead of taking responsibility for a diabolical performance, Adebayor, our vice-captain, criticised the crowd in the post-match interview, claiming that Spurs were scared of playing at home because the negative atmosphere adversely effected the players. Villas-Boas said the same thing last season after a home match against Hull. Blaming the fans: at least that’s one area where Spurs are consistent. Supporters reacted with outrage. Kat Law, chair of the Supporters Trust, promptly issued a furious statement in the Mirror in response to Manu’s comments, rightly so in my view. Several good pieces in the press picked up on the effect on the club of Daniel Levy’s long-term neglect and lack of continuity, something I and many others have been saying for some time, which has now been recognised as part of the narrative about our club. We’ll never know the full truth. Certainly the author of the article, Tom Collomosse from the Standard, said Manu was talking in a concerned, reflective tone rather than ranting, although that’s not exactly clear from the final piece. Adebayor’s comments are worth looking at but not because of the guff about the supporters. Regardless of what he meant or didn’t mean, it is indicative of a mindset that is looking outside the team for reasons for playing badly. Why was his instinctive reaction to blame the crowd? Here is a far more significant extract from that article: “I could see that nobody wanted the ball. It’s hard for the players, it’s not their fault…we just have to find a way so that we can try to understand what he [Pochettino] wants to tell us and how he wants us to play..” This sadly confirms the suspicions I’ve shared on Tottenham On My Mind for several weeks now. Here is the truly troubling aftermath of that game – players don’t want the ball, are not responding to the manager and do not think it is their fault. As we prepare to play Hull tomorrow, I cannot conceive of a greater indictment of a football team. That match is gone, Pochettino and his squad have to do something about it, starting with a major shift in their attitude. If Manu’s comments are in any way indicative of what’s going in the dressing-room. I don’t have the confidence that they will change. Nobody wanted the ball at Villa where the fans sung loud and long way before the late goals rescued a dire performance. Can’t blame the supporters there. My view is that too many players do not want to take responsibility for their actions on the field. “It’s not their fault”…actually it is. The attitude and performance level from this group of players needs a complete overhaul. “We just have to fight as a team…” says Manu. That’s right but where is that fight going to come from? It has to come from within. We will get nowhere if the knee-jerk reaction is to blame outside forces. And that’s what worries me. I don’t see leadership, resilience and sheer bloodymindedness in this squad. Let’s hope Pochettino has worked some magic over the break. Sadly it’s no use searching for the heart of the club in the boardroom. After the defeat against Stoke, the club were accused of drowning out the boos by turning the PA up to full volume. I didn’t mention this in my article simply because I didn’t notice. Some blogger I am, missing the big story. I filter out the music at games because I find it intrusive at the best of times and anyway my mind was still very much in the misery of the game as I trudged out of the ground. As ever, things aren’t quite so straightforward. Daniel Wynne was in charge of the PA for the Stoke game, not his usual job as he sticks to the match commentary. I’ve met Daniel a couple of times. He’s a fan who commentates, not a broadcaster who happens to be employed by Tottenham, and both occasions were at charity matches where he gave up his time for free, just to be there. He said that he did not turn up the volume intentionally and did not receive any such instructions from the club. For what it’s worth, I think he’s telling the truth. However, that’s not the point. The accusation rang true for Spurs supporters. Judging it at face value against our experience of the way the club treats us, it sounded all too believable. Social media was in full-blown outrage and offended mode afterwards, turned up to 11. Nobody said, however tentatively, ‘surely they wouldn’t have done that…’ This is what we have come to expect, that the club will trample all over the supporter’s loyalty. The PA is too loud, the fans not loud enough, it serves to obscure the true focus on under-performing players and a manager who is struggling to effect change. We are paying the price of the long-term instability caused by the one thing that has remained consistent, Levy’s lousy decision-taking. As have others, I have been guilty in the past of saying lazily that he’s a good businessman. He’s not. No CEO of a big company would create such instability in senior management or leave new appointments without the resources needed to to do their job. A lack of strategy leaves any company exposed. Missed opportunities in business mean progress is hampered and previous investment wasted. Even by his own benchmarks therefore Levy has failed. And that’s without mentioning football results. Also, again regardless of accuracy the interview and the PA will form part of the narrative of the way events at Spurs will be covered in the media. Tottenham as a divided, dysfunctional club. That’s the way we will be perceived from now on. Never mind their reaction towards the crowd, the players better look out because if they falter, they will be mauled in the press. At least we can get behind them. There are signs Levy is taking action, albeit in his usual reactive way. Paul Mitchell, Southampton’s talent-spotter, looks like he is on his way. I have no idea how good he is but it’s likely Pochettino wants him in which case he’s belatedly getting some support from the board and rightly so. However, we are faced with serious team rebuilding in the January window where we know the best quality players are not available. Never mind having to then integrate them into a team. Anyway, who wants to come to a club without a heart? Supporters are the heart and soul of this club. ENIC, Daniel Levy and the players would do well to remember that. Instead of being defensive, they should encourage better relations and utilise our enthusiasm in the ground and in the boardroom. Bridge that chasm. Who knows, they might find what it takes to turn the club around. As far as I’ve read – totally agreed. Not sure where the septic feline came from… could be “pus”? Miaow! Last time I rely on spellcheck. Good to know you’re there. Mon plaisir. Pls delete my input. Now corrected it’s a little abstruse! You wonder why the media perceive us in such a bad light? Its because of the constant negativity coming from bloggers and so called supporters as yourself. Its true we are poor at the moment,yet its less than a third of the way through the season with a new manager. So give the team your backing and quit the constant whinging. The media don’t read this blog, Pablo. If they did, they would see the context in which this piece is written. I’ve seen 90% of home games since 1970. I’ve been patient and generous re team-building and Levy. I have never even said at the start of the last 5 seasons that I expect us to finish in the top 4. That’s not what matters when you support a club for this long. I don’t boo. Ever. There are serious things wrong at the moment. If you disagree, that’s what the comments are for. Pablo, I believe Alan is articulating the disappointment and frustration of supporters who have stuck with the club through good and bad and have finally had enough with the steady drip of mismanagement that has neutered our team. In my view, the seasonal cycle of sacking managers has diluted, not strengthened, our ability to build a team, a spirit, and a connection to fans that we had in the 60’s 70’s and 80’s. Since then the cynical “screw ’em, they’ll always come back” approach has eroded this connection. I agree that fans have a part to play in lifting the team when the going gets rough, but supporters also aren’t stupid; they can see when individuals and teamwork and tactics are worthy of a verbal kick up the backside. There is clearly a major disconnect running right through the club at the moment, ultimately presenting itself on the field and in our results. One or two bad performances are excuseable, but we have witnessed such consistent rot this season that I feel all of the weasel management of recent years is finally spilling over onto the pitch for everyone to see and react how they wish. Showing discontent doesn’t mean you are a bad supporter. It shows that you care. As ever, you cut straight to the issue. I just wish I could see a few obvious signs of consideration, rethinking, new planning, commitment to improvement against definite targets that are valid and affordable, things might be different. I sense a Leeds United scenario here – all except Leeds fell much further faster. just take a look at Southampton now. please tell me if you can go to an average team to a good one overnight. to play the exiting brand of high pressing, passing football is not easy. and re boot us in to this cycle again of failure. ‘In or out’: re support, I’ve been in for 50 years which won’t change now. What is does mean is that I worry when we can’t perform the basics, and this is where we are now regardless of manager or system. Re the players, I question the commitment of players I have praised in this blog, like Capoue and Eriksen, players I like and can do well for Spurs but who want to play in their time and space without fighting for the right. Re the system, pressing, high line, whatever – in the PL you have to get back behind the ball when you lose it and try not to lose it unnecessarily. Doesn’t matter what formation or system you play. I don’t see Spurs working hard enough at that. Yes a good article.There are issues with Tottenham which are there for all to see.I think the team is light weight and needs some beef.Sandro was our bull and he was sold. Lets hope things improve as I am sure nobody including the players and board want us in this position. Have faith and it will turn around. This team however do not gel and need cementing. Fans are entitled to be disgruntled etc with latest results, but it’s not caused by 1 person(Levy or Pochettino). It’s several factors: A new coach and the players getting use to his ‘methods’, new players getting use to the PL and playing for a new club.Making Kabul captain(and not the hugely talented Vertonghen) was a massive misjudgement, along with making Adebyor VC. Man U and even Real Madrid have been ‘linked’ to Vertonghen, that says it all to me.It’s no wonder he’s p-off when not only is he not chosen as at least VC, but cannot get a regular place.These decisions, along with the other totally unfathonable choice of continuely playing Adebayor and not the in-form H.Kane, are a major contributions to the dismal play lately. Agree, there are several factors and I’ve talked about those over the last few weeks but it came to a head in the aftermath of the Stoke game. I would play Verts every week but fact is, there’s no leader to turn to in that squad. His attitude has not been exemplary for the last 18 months. I accept he’s been injured for part of the time but I’m talking about his approach rather than his form. Spurs biggest problem is the media vendetta we are suffering. So Levy sacked Harry, what’s the big deal? As far as the rest of it is concerned, Chelsea have been swapping managers in much the same way as Spurs, we have not been spending big money on players just re distributing money from sales and in the last 10 years arsenals invincible team has had over £500 million spent on it more than Spurs in wages and trading during which time we have moved up from 14th to an average finishing position of 5th with 6th biggest turnover, 1 place behind them. And here we are, clearly not playing well right now and 4 points behind where we expect to be. You have to ask yourself with Everton, arsenal, Liverpool, Man U and Spurs all within 3 points of each other, why is it that Sky reports About Spurs are so downbeat and so forgiving towards the rest, who have all spent more money on their teams in the last 5 years. Our biggest problem is not at the club, it’s not Levy, and it’s not the team building policy, it’s the hatred from the media and the weak minded fans that are falling right into line for them. Very good point Barry, all those teams you’ve mentioned are not doing much better than us, but it does appear that the media has singled us out, and some fans have jumped on the bandwagon without looking at the ‘big picture, e.g. other top clubs are under-performing.This is also not due to manager change or player changes, but the sum total of all. New managers mean new playing styles, new players means getting to know each other and the PL ‘pace’, together with ‘forming’ the team, it takes time.Liverpool due to Suarez’s departure + Balotteli arrival and injury to Sturridge, Arsenal due to many injuries and never finding another CD of any calibre, Everton too, are not that far ahead of us on points, but have had at least time with Martinez to ajust. Man U. all that money spent and are only just above us on points, have also been crap this season, but the media and the fans seem more keen to give him and the team time. So Spurs fans should rally behind the team and the nedia should back off. However, I think the difference with Spurs is that the 1st X1 that is being picked has appeared to have been based on some favouritism and not form/preformances. E,g the following players this season and indeed most of last season have been terrible, yet they still play regularly: Kabul, Adebayor,Rose, and Naughton.This would cause unrest at any club. Barry, I think we have brought it on ourselves. I agree the media have their narrative and exaggerate. I detest it. But in this case, they are right to point to some of the problems, problems which have not actually been discussed too much until recently. At time of typing, we are level on points with Liverpool, 2 behind United and 3 behind the Goons. Are these three clubs soul-less clubs who are in a relegation fight, too? Because these are the primary variations I keep reading about us. Spurs and Everton are two of the former Big Five…for me it will always be a big game. I stopped reading there. Pull the Sky glasses off…there was top flight football before them! Well – I know Utd and Arsenal fans who would say exactly that. We’re not the only club dealing with long-term problems especially in regard to the way the fans are treated by their clubs. The only difference is, Spurs are the club I care about. It amazes me how us fans see things differently, I for one agree whole heartedly with what you say . 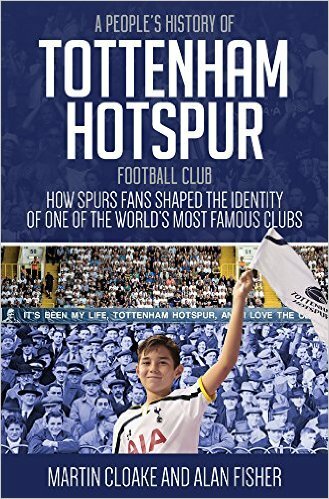 Also the Supporters trust have had this meeting with Spurs on Thursday regarding the same views as mostly what you have written about. Having a go does not mean we want the chairman out, we just want changes and transparency between club and fans, and we should carry on if there are no changes. Let’s hope the Spurs supporters trust has had some success in getting our views across . Rightly or wrongly we all have an opinion, that is why we all should be grateful for the good work most of bloggers like you do, so that we as fans can get to say what we think. You may have seen that the minutes of that meeting are now on the Trust’s website and I am seeking some follow-up, which will appear here. I had some sympathy for what Manu was trying to say. However he was the worst person to say it. Sadly there is noone at the club at the moment who carries the authority or respect from the fans to put that point across. We have lost any sense of community apart from that which exists independently of the club among the fans. There are few if any people connected to rhe club in an official and public capacity who get what they club iseamt to be about and what the fans want. I admire club like Bayern Munich because ex-players and managers are absorbed into the club hierarchy and are always around. We alienate our legendary ex-players. People like Perryman, Hoddle, Greaves, Terry Gibson. They are our link to the past, to our great history and contribution to the national game. Hence the feeling of listlessness and alienation many of us feel. Am just about to set off to Hull with my partner and his daughter. Both Hullensians and Tigers. Am happy to make the round trip from London and pay the fares and ticket prices. And I go with no expectation that we’ll win. I never do. But I do expect to watch a team that gives a toss and plays decent football. Lovely blog this week. I really enjoyed reading about your extra-curricular activities. If anyone is ever planning a trip to the KC and Hull, which I strongly recommend, get a seat in row Z of the west stand. The views of the pitch and the city are wonderful. Occasionally I managed to teary eyes from the Hull skyline and watch the footie. To their credit, Hull were very very good up to the sending off. Well organised, quick, tenacious and generally up for it. In the first half we were a collection of 11 individuals running around, to a greater or lesser extent. No discernible shape or strategy. Second half was much better for us. We started playing sharper and quicker football. Even if Hull had kept all their men on the pitch we would have got a draw at least. A win is a win. Given how things currently are, it’ll do. Interesting to see ‘Levy Out’ and ‘No To MK’ banners unfurled by our away fans. The media are having a go at us because we are showing no sign of improvement, of becoming a team or of having the stomach for a fight. No one side expecting they finished article but give us something to pin our hopes on. The media have correctly identified us as the ‘top six’ team with all the attributes needed to slip onto a relegation battle. That’s why they’re circling. Yep. I think for once the press reports have been broadly accurate rather than sensational. Your statment above says it all. Amateur defending, Confusion in midfield, BIG NOTHING Upfront. Midfield… Eriksen d only ONE Creative. Get d Jay Rodriguez, Fabian Delph ( showing the right attacking stuff to attack ),. Bony had just signed. Get a Benteke ( fearless and scores ). Sorry Soldado AND Adebayour ( NOT CONSISTENT ) and costly/wages…sooner d better. Character of SPURS have nearly all gone. Keep LENNON, positive is his pace. In tight situations he can turn things around. Tweak him a bit more, a good manager can do it ( like a Harry Redknapp ). Use his Strengths. Get d Schneiderlin, he is versatile , strong in midfield attacking mould ( and Why did we have to sell a SPURS-favourite d Beast/SANDRO…sure he was injured, …. he ruled d midfield when fit ‘ d beast ‘. Like teams in high-scoring mould EG Liverpool with a Sturridge N A Suarez types, Ronaldo n BALE or Banzema types. Get a 2nd strong, fearless Striker …coming transfer summer. DO OR DIE n face Relegation fight. ASAP. I hope the club can ‘get it’. Its all of the above Alan so comprehensively put together. Building confidence has nothing to do with strategy until it gets to the point where the strategy becomes internalized and natural. Im not sure Poch has sufficient man management skills and that is important during a transitional time. Many players dont get confident until something outside of them (like a goal) ignites them. Soldado is really in the depths of despair.Lamela looks like he trying his hardest but he seems sometimes to be trying too hard.Eriksen most of the time doesnt know what to do with the ball but in certain situations does something well (Remember Sigg?) Mason has deeper belief I think in himself and so does Kane. I watched the Crystal Palace game.A bunch of well coached no names.They gave everything.Pressed,played with talent and confidence throughout the game. Even 1-0 down they did not lose any spirit. But they looked competitive all game. Fantastic article however this outcry is at least 12 months too late. The day we entered the promised land of the Champions League and did so with one cut price marque signing we should have realised this “brilliant businessman” was simply there for the profit. If it was not for 2 dubious red cards we would be a point of the relegation zone, with our players playing the teflon Daniel card and our manager looking clueless and lost. It’s time for the supporters to stop with the internet moaning and turn on Mr Levy and his cronies at matches. WHL should be ringing loud with ENIC out on Sunday in front of the cameras where our message will start to be promoted.